How is September already done?! I was aiming to not buy anything this month but I did end up getting a pair of high waisted jeans from Everlane as well as a new tee (free shipping when you buy 2 items, how can you not?!) Everlane is known for their amazing basics so when they came out with jeans for $68 I had to test them out before they sold out like all their other cult favorites. Then I bought some AMAZING velvet mules at TJ Maxx with a gift card. I also got a sweater from Pearls & Plaid with a gift card I won at the CT blogger brunch. Finally I got two new dresses thanks to HauteTrader, see my post here! Also a quick life update - This Monday I moved back in with my parents. For the last 4 1/2 years (WOW!) I've lived with two of my cousins in a house that one of them bought. He sold the house and is moving to a city I don't particularly want to live in. Luckily my parents were kind enough to let me move back in to my old room until I decide my next move. I haven't lived at home since August 2011 but I frequently went home for dinner during that time. It's definitely going to be strange being back, but I enjoy my parents company. Once I get settled back in I may do a post on how I've fit my clothes and possessions in my room. Unfortunately, this means no more Instagrams with Layla since she's actually my cousin's dog. I'm quite depressed, but hopefully they'll still bring her around when we go to my Grandmother's on Sundays. Wow, that's a big life change - I hope everything goes smoothly while you calculate your next move (and of course that you still manage to get lots of puppy cuddles whenever you can). Well, things happen for a reason :) So I'm pretty sure you'll be fine and out the door by the summer- and I mean this in a good way. 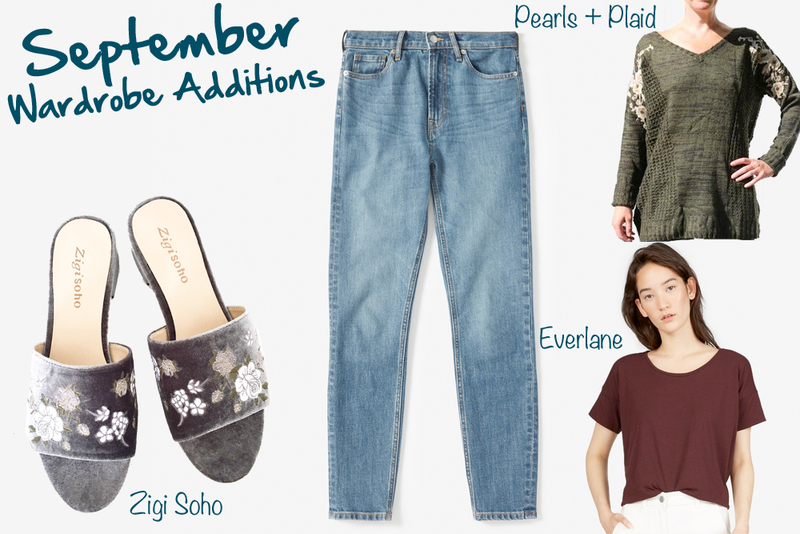 Wow girl, amazing additions...Those Zigi Soho mules are amazing, love the gray velvet. Hope your move goes well! It's great you can move back in with your parents until you figure out what you want to do next. My bedroom was swiftly turned into a study by my parents a little while after I left, haha! You'll need to let us know what those jeans are like! Everlane now ship to Australia but I haven't bought anything yet - they have such a wide product range now it's tricky to know what to go for first! So sad you don't get to read with Layla anymore, and I'm sure she is going to miss you a ton too! Love those mules and both your new dresses!